I was introduced to the craft beer movement in college where I spent more than a few hours throwing back pints at Boundary Bay Brewery in Bellingham while attending Western Washington University in the late 1990s. To say it’s been fun to watch the industry grow is an understatement. It’s been outstanding! This is one of the fantastic bartenders at Hearts & Trails Spirits Festival. Fast forward to 2018, and last month, I helped celebrate another craft booze industry that I’ve been watch growing here in Colorado for the last decade. 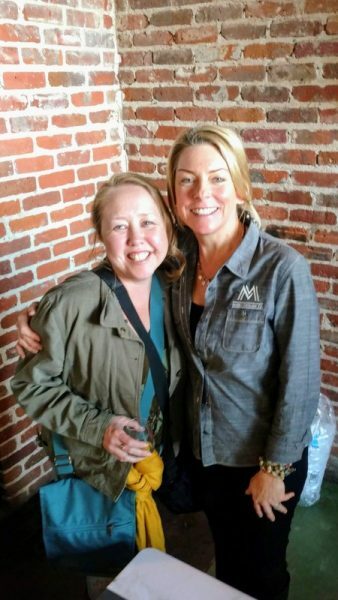 On February 24, 2018, the Colorado Distillers Guild kicked off the Colorado Spirits Trail with a boozy bash in Denver. 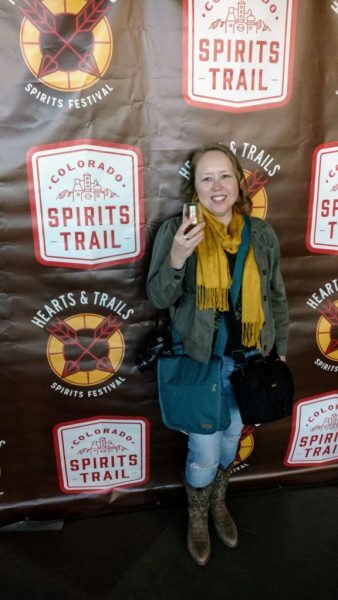 More than 40 distilleries converged on Mile High Station for Hearts & Trails Spirits Festival, a celebration of a craft booze industry that’s taken off like wildfire here in Colorado and across the United States. While attending the event, I heard more than one person make reference to GABF, the famed Great American Beer Festival that’s been taking place in Colorado for 36 years. The feeling was that Hearts & Trails was the start of something big—real big. The line up from KJ Wood Distillers in Ouray included Dead Drift Whiskey, Jinn Gin & Berthoud Blue Vodka. The event featured a rather overwhelming amount of whiskeys and bourbons, and while I am a “whiskey girl” it was a tall order to try them all. I also love gin and truly enjoyed the intriguing gins created by Lee Spirits in Colorado Springs. Of course, I always love the Jinn Gin from K.J. Wood Distillers in Ouray. One of the best things about Hearts & Trails Spirit Festival was the the distillers were there. 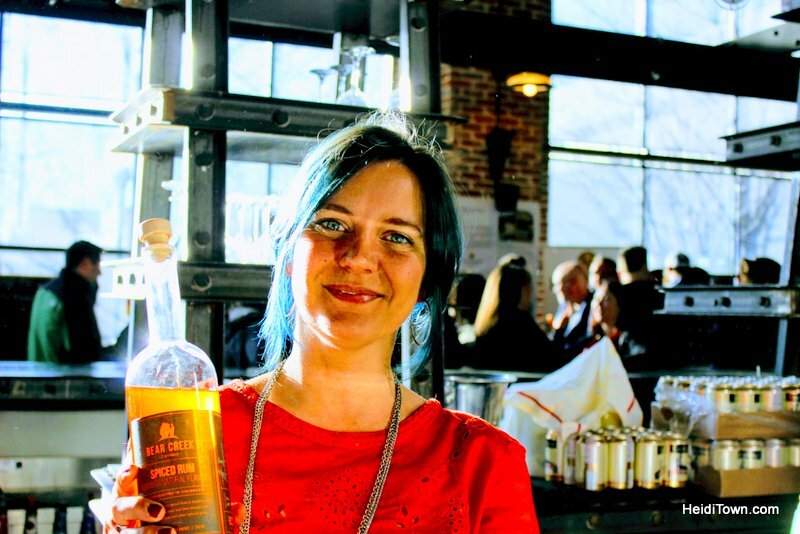 This is Connie Baker, head distiller at Marble Distilling Co. and a place you have to check out when you’re on the trail. 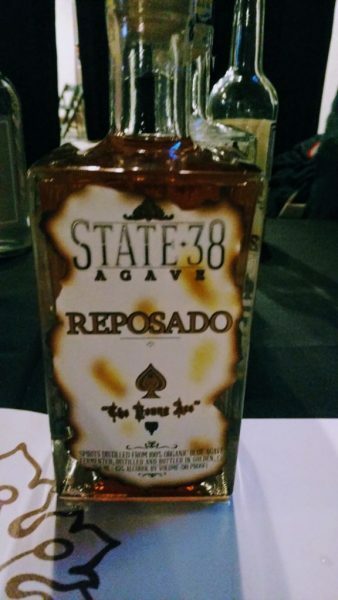 My tequila-crazed husband was impressed with State 38 Distilling‘s blue agave spirit, as it’s rare to run into this type of spirit being made in Colorado. State 38 is located in Golden, Colorado. So what’s the Colorado Spirits Trail? It’s a map you’ll want to download here or pick up at one of the fifty Colorado Distillery Guild members locations. This is the route to treasure; a treasure in the form of the best vodka, gin, rum, whiskey and other spirits that Colorado offers. It’s also your opportunity to win ridiculous prizes and by ridiculous I mean awesomely ridiculous. The first person to get all the stamps on their map receives booze from every distillery that was at Hearts & Trails. And after that, they become everyone’s best friend, right? 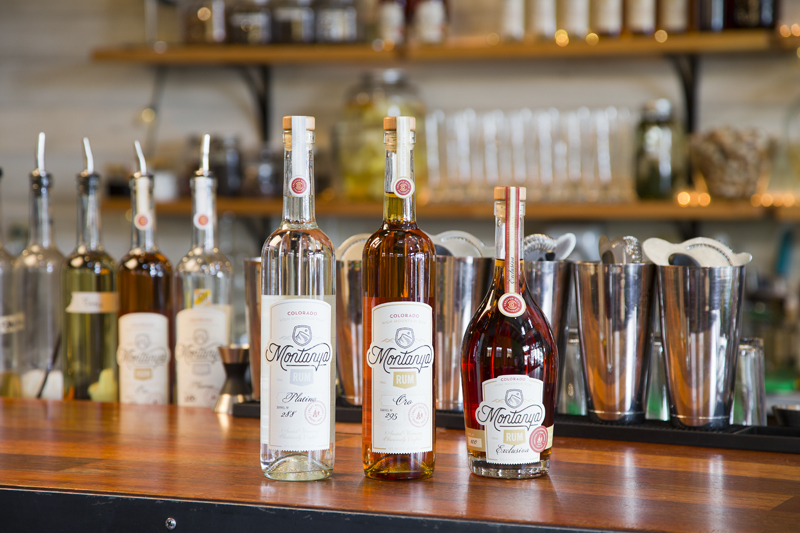 Spoiler Alert: We were JUST in Crested Butte this past weekend and met with Karen, owner of Montanya Distillers, the best rum makers this side of anywhere. She informed us that there are already people coming into her distillery with a lot of stamps so the grand prize is probably out-of-reach for many. However, if you’re anything like me, you don’t drink for prizes. 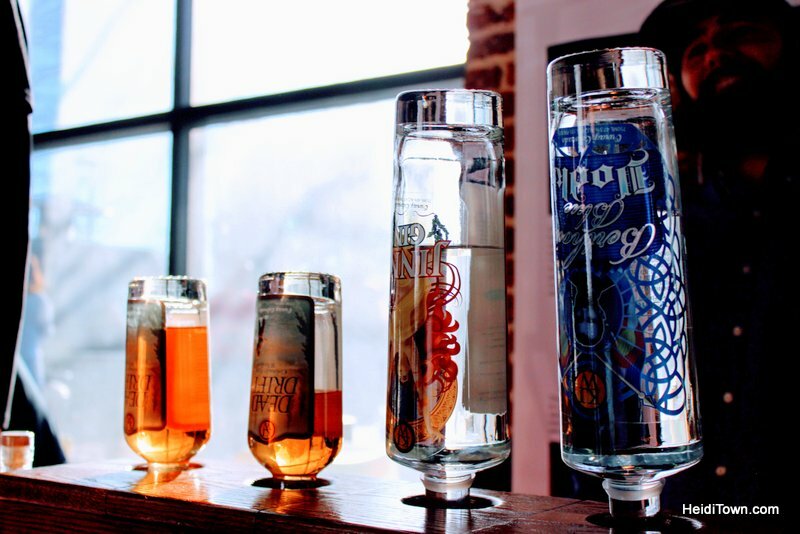 The fact is, the Colorado Spirits Trail isn’t about prizes, it’s about a craft distilling industry that’s full of passionate folks serving up some very delicious booze that they really want to share with you. So it’s time to download the map and get on the road. Thank you to Two Parts for inviting us to experience Hearts & Trails Spirits Festival and to Born Hotel by Kimpton for giving us a place to lay our heads after the event. Watch for an upcoming write-up about Born Hotel, one of Denver’s newest hotel properties, ideally located near Union Station.